Thanks for tagging along and keeping me honest. Happy new year, and I’m looking forward to seeing you in 2019. This entry was posted in Fitness, Running and tagged Running on 2018-12-31 by matt. Good luck in 2019 Matt . 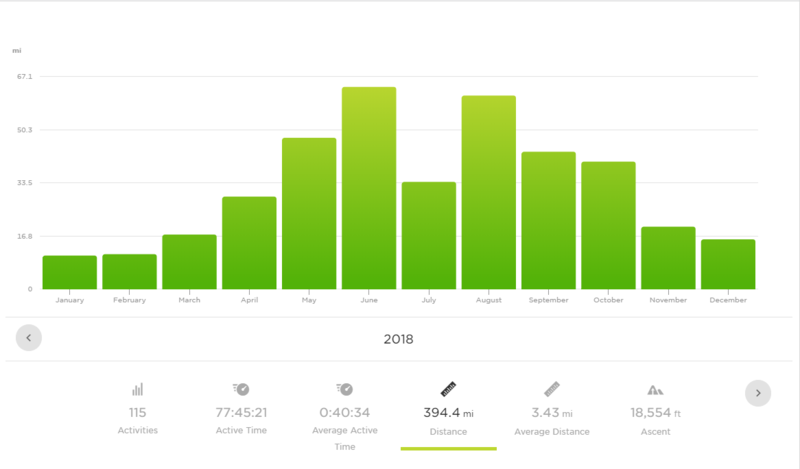 I was 50 this year and did my first half marathon. Great buzz, just wish I had better ankles and knees! Keep posting Matt. Great stuff! Thanks, Rich; I appreciate it. I definitely understand the better knees and ankles issue. Thanks for following along and keeping me honest. Happy new year Matt! You were my inspiration for writing up all my runs.